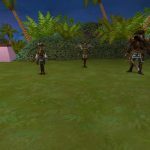 This one shot dungeon has been out for what feels like forever, yet we didn’t have a guide for it on Duelist101! That had to be fixed! This is also a good time to write a new guide for this battle, because now, wizards who have finished Polaris have access to the spells Aegis and Indemnity. Those spells are a huge help in these dungeons! 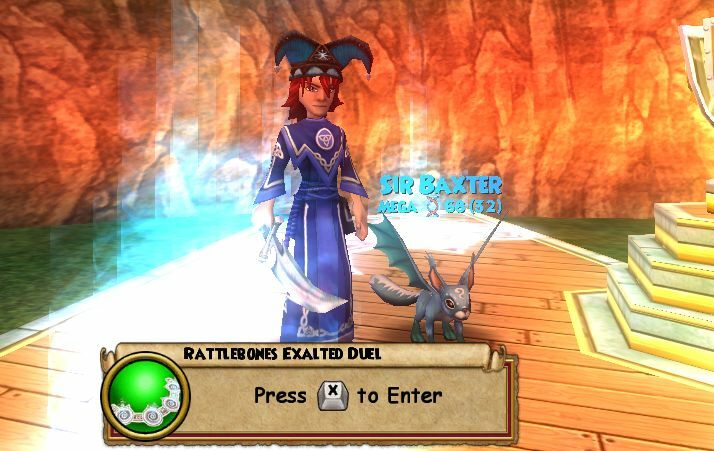 You can get the Rattlebones Exalted Duel from defeating Rattlebones in Wizard City. There are other locations (check here), but I find farming Rattlebones the most effective. First off, this is how I see it: the Rattlebones Exalted Duel is not designed to be super easy. That’s why they have the chest at the end of the battle. In regular battles, you get the drops right when you defeat the boss. Rattlebones has the chest instead, so it doesn’t matter how many times you die during the battle. You will still get your loot. That being said, make sure nobody dies the exact round you kill the enemies. They will end up in the Commons and the chest will have disappeared when they use dungeon recall. No chest means no loot. In the Duel, you face four enemies, two of which are bosses. One is Rattlebones, the other is the Fairy Queen. Both of these bosses cheat in different ways. They also have some very potent spells, with the most impressive one being Fairy Queen’s Dark Sprite that costs one pip and does about 1,500 base damage on all wizards. 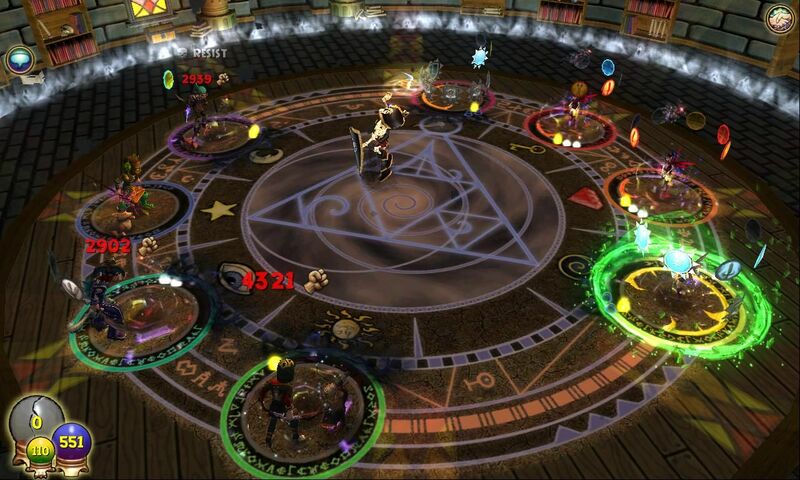 In addition, Rattlebones has a 4 pip attack that deals 3,400 damage to all wizards. Painful! Death is never far away! Rattlebones and Fairy Queen both hate feints. If you feint them, they “trade” the high end of the feint with the low end. In other words, with a regular feint, you end up with the 70% on you while they get the 30%. You can work your way around this cheat in two ways. You can Ice dispel the boss you are feinting. 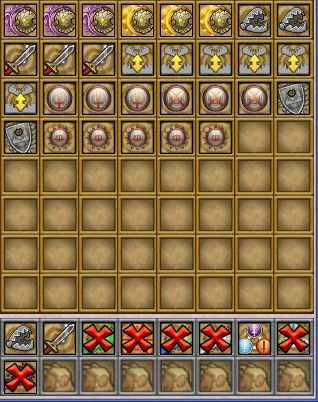 The trade cheat is of the Ice school, so they will end up fizzling when you dispel them before casting the feint. 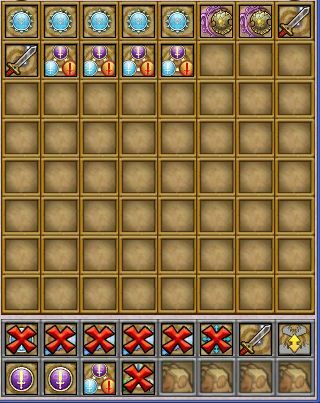 Additionally, if you have an Ice wizard with you, and you’re planning this adventure in advance, you might want to farm the Bazaar for a while for Double Melt TCs. They put two dispels on the enemy at once, for the cost of three pips. It’s useful to use a mix of regular dispels and double dispels. If y ou have finished Polaris, you can also use the new spells you can learn there from the Astral teacher. When you enchant a feint with Indemnity, the trade will fail and the feint will stay on the boss the way we want it to. There will be a message on your screen saying “protection removed”, which theoretically means the next attempt to remove the feint would be successful. This is nothing to worry about though. Another cheat is called “tardiness will not be tolerated”. Don’t be late! Anyone who joins the battle circle late will get mana burned. This mana burn does somewhere between 1500 and 3000 damage and takes all your pips. This will not only happen in the first round, but also in every subsequent round where someone dies, flees and comes back. In the beginning of the fight, it will be Rattlebones who casts the mana burn, but when he dies the Fairy Queen will take over his role. In addition to the universal cheats I mentioned before, Rattlebones has one more trick up his sleave: Doom and Gloom. Rattlebones will put up Doom and Gloom whenever someone (or someone’s pet) heals. I suggest you leave your pets in your dorm for this battle. Of course you could have a designated healer who keeps everyone alive and keeps replacing the Doom and Gloom with a bubble you like more. That sounds like a great idea! Just know that this is a case of “do as I say, not as I do”. Personally, I don’t bring any heals to the party. I make sure everyone has their potion bottles filled up, and make everyone flee after dying. This means I have to deal with the strong mana burns after rejoining the battle circle, but I prefer that over healing. During one run of Rattlebones, I suffer approximately 7 deaths in total on my 4 chars. I can see how healing could be superior, but I can’t be bothered. So: either find a good healer (or two) to help you, or prepare to get mana burned a lot. Your healer should pack a lot of bubbles, maybe empowerment and heals. They’ll be very busy! At the begining and every 4 rounds after the minions were defeated, the Fairy Queen will summon 2 minions of any school. They will have 5,200 health regardless of what school they are. Just ignore them until the end. In addition, the Fairy Queen will occasionally enfeeble any wizard that casts a bubble or gets a blade. She seems pretty random with this cheat, casting it sometimes for every blade and sometimes not at all. As such, it seems best to first kill the Fairy Queen, so that you can blade freely to kill Rattlebones afterwards. If you’ve finished Polaris, yo u can use Aegis to protect your blades. 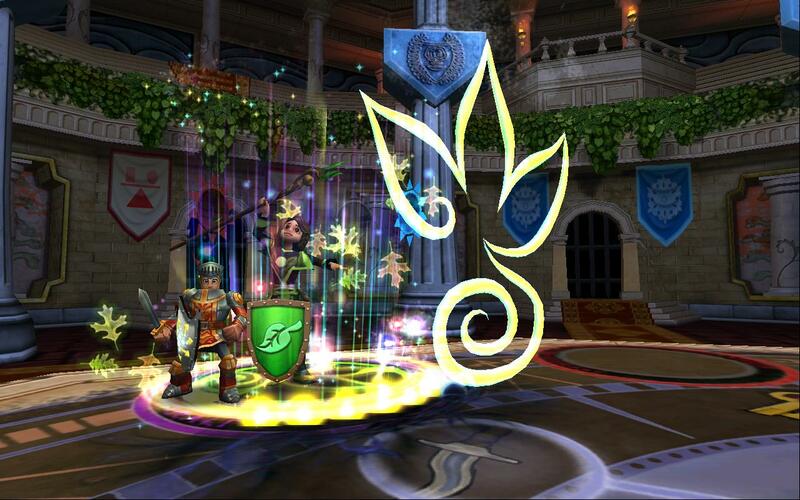 This means you won’t be able to use potent blades, TC blades or gear item blades at all until the Fairy Queen dies. Still, if you have a balance around, your hitter could have a protected balanceblade, a bladestorm, a stormblade and an elemental blade. Four blades is better than none! Once the Fairy Queen dies, regular blading is allowed again. I’d say the optimal team would have a Balance and an Ice at the very least. Your hitter can be of a school of your choice (I went with Storm). Get in touch with your own mortality. Accept that you will die using this strategy. Go fill your potion bottles in the Fairegrounds, or find a Life wizard willing to help. You might want to change my deck setups if you have a reliable healer (eg. put bubbles into most wizards’ decks so they can get rid of Doom and Gloom, and maybe add reshuffle or more cards). 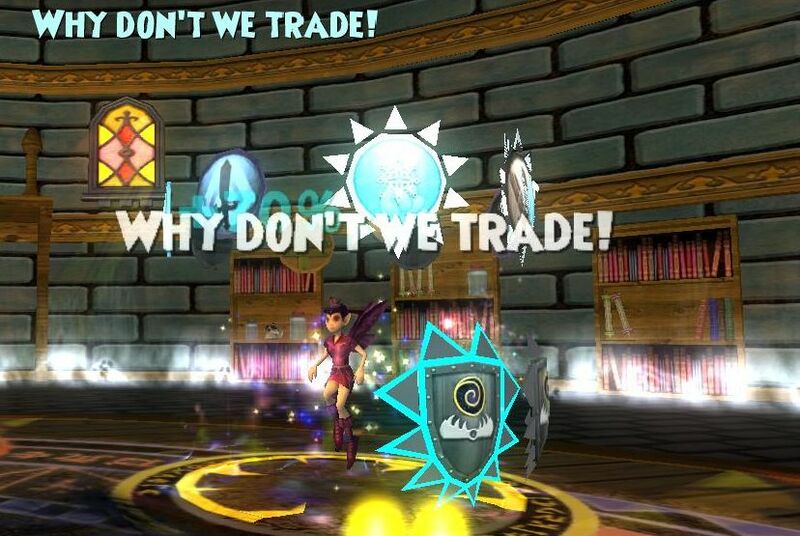 Go buy Ice dispel Treasure Cards in the Bazaar. You can hunt for 2 pip Melts, the occasional Double Melt and the rare 1 pip Melts. In addition, you could see if you have an Ice friend around who can do the dispel spamming. Take off your healing pets. Join the battle all together, don’t be late! Focus on the Fairy Queen first. Put a feint with Indemnity on her. Wait with putting other feints (pet feint, potent feint, amulet feint etc) until after step 5. Dispels galore! Spam the Fairy Queen with Ice dispels. 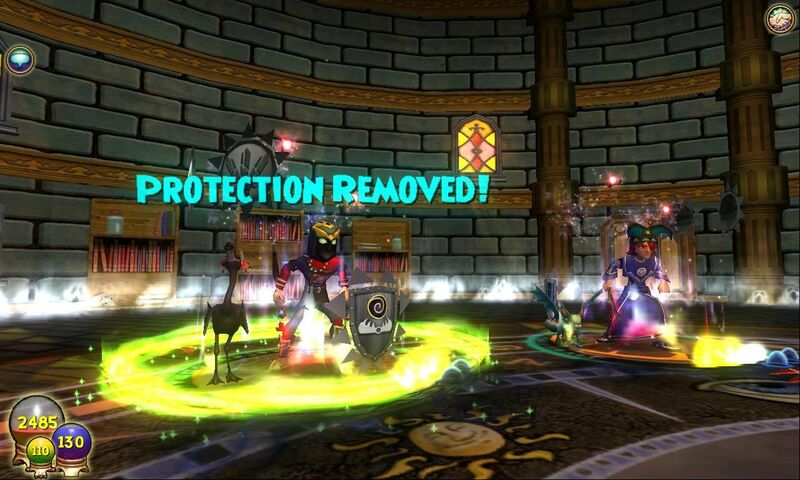 Either every wizard uses the 2 pip TC version, or your Ice takes the responsibility of dispelling on him or her. If you have a Balance around and don’t have a healer, also spam Rattlebones with Balance dispels! Use as many different feints on the Fairy Queen as you have Ice dispels on her. Enchant your blades with Aegis. If you don’t have Aegis, don’t blade at all (or well, you could always try one or two blades, maybe you’ll get lucky and the Fairy Queen doesn’t enfeeble). Use a strong attack on the Fairy Queen. Hope that she dies. If she doesn’t, put more feints and more Aegis blades and try again. Whenever you die: flee, come back, suffer mana burn and carry on. Remember that if you have a Balance wizard with you, you can dispel Rattlebones’ mana burn! Once the Fairy Queen dies, start blading your hitter. 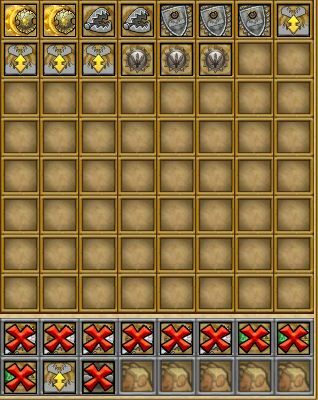 Use Dispels and Indemnity when you feint Rattlebones! Use an AoE like Glowbug Squall to kill both Rattlebones and the minions. Here’s the decks I used for my 4 wizards. I went with Storm as a hitter, accompanied by Balance, Ice and Death. Of these 4, Balance and Ice are the most useful for their dispels. This is just a random combination though, you can do it with any wizards! Note that I’m not the best deck builder ever and that you can probably make a better deck by using your common sense. I’m still sharing mine, because some people find this more useful than having the strategy spelled out. You’re allowed to think for yourself though! I will die many times anyway, so there’s no need to add reshuffles. As you can see below, I dont add heals. This is because unfortunately I’m allergic to them. My hitter starts off trapping the Fairy Queen and Indemnitying his blades. Storm dispel is useful for stopping Fairy Queen from enfeebling blades. Don’t use sharpened blades unless the Fairy Queen is dispelled! My Storm will die many times anyways, so the deck doesn’t really matter XD He’s squishy like a bug! Ice has a lot of dispels. There’s the 2 pip ones in the main deck, and then a bunch of TC dispels in the side deck. While the Fairy Queen is still alive, enchant your elemental blades with indemnity. After she dies, you can use the elemental blade and the item card blades. As Ice, your main job is dispelling before people use feints. Ideally, Ice is the first one to join the battle circle, so people can feint during the round Ice dispels. Balance dispels should be placed on Rattlebones as fast as possible. Don’t be afraid to spam them. Dying will hurt less when you dispel the mana burns. Use Indemnity on Feints. Use Aegis on blades until the Fairy Queen dies. Refrain from using sharpened blades until the Fairy Queen is dead. 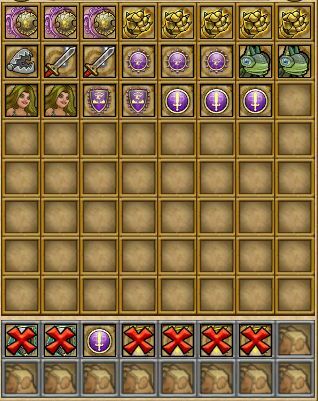 My Death doesn’t have all that many useful cards for this battle, so she mostly traps. I’m thinking of training elemental blades on her, so she’d have something else to buff my hitter with. I hope this guide can help at least some people. Personally, I find it good therapy. I used to be just as allergic to dying as I am to healing. After countless deaths against Rattlebones, I am now cured of my allergy and don’t mind dying! XD After all, we always spawn in the Commons, right?